The Glendale Golf & Country Club owns our Golf Shop and is managed by PGA of Canada Head Professional Greg McGarry. This area of the operation is committed to providing the members and their guests with exceptional service, qualified professional advice and top quality products. 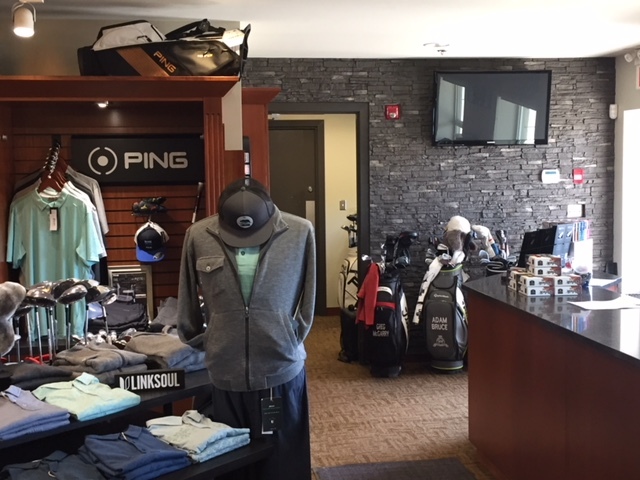 The Golf Shop offers a wide selection of quality merchandise to fit any budget, and if you don’t see something on the floor we can source it out and bring it in for you. Gift Certificates are available that can be used on anything in the Golf Shop as well. Our custom club fitting and extensive demo programs ensure our customers receive a product that is right for them. Come and visit the Glendale Golf Shop for the complete experience, selection and service. Our instructional programs are sure to benefit all levels of golfers. Our dedication as PGA of Canada Instructors is to create a learning environment for each student that is comfortable, challenging and most of all FUN!!! We look forward to enhancing your enjoyment of the game and can tailor an instructional program to fit your needs. Our Instructors utilize a wide variety of coaching techniques to facilitate learning and to enhance your skills. The Glendale can accommodate all your corporate merchandise needs. Let us be your source for customized apparel, balls, accessories, gifts and equipment. Contact the Golf Shop for a quote on any item you may need, golf or non-golf. The Golf Shop has the ability to do most repairs in-house, usually with a quicker turnaround than the “big box” retailers. We offer re-gripping, re-spiking, and some re-shafting services to the membership at competitive prices.